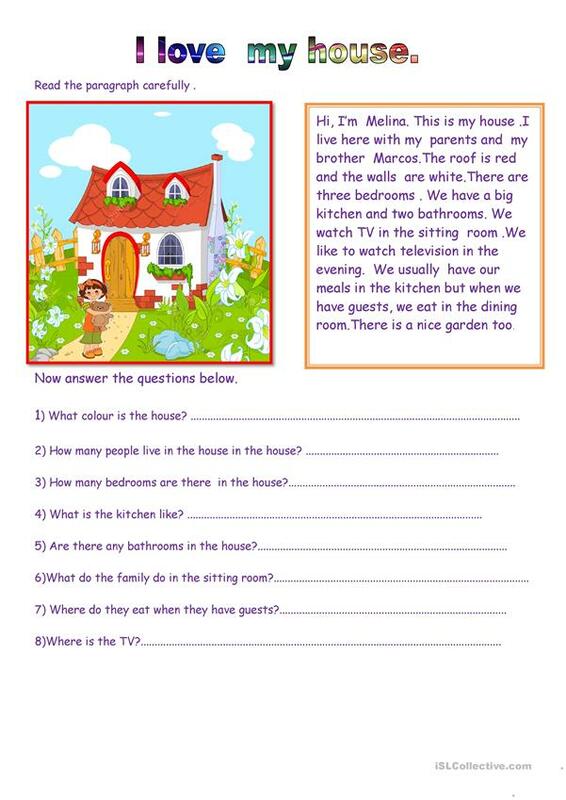 Colour worksheet to practise :parts of the house,family,colours, numbres. Grammar Points :Present simple tense, have/has got.Students can draw their houses andtell their classmates. The present downloadable teaching material is intended for elementary school students, kindergartners and nursery school students and students with special educational needs, learning difficulties, e.g. dyslexia at Beginner (pre-A1) and Elementary (A1) level. It is a useful material for consolidating HAVE GOT or HAS GOT and Present simple tense in English, and is useful for enhancing your students' Speaking, Reading and Writing skills. It focuses on the topic and words of Family and Home.